Blooom is automation for your 401k, 403b or TSP account. They will reduce the fees you pay, optimize your allocation based on your age and risk tolerance all while providing open-ended fiduciary grade advice. Since most people rely on retirement accounts for their retirement, Blooom makes sure that their customers can actually retire on those accounts. Save $20 when you sign up. “Hang in there, retirement is only about 30 years away” – My jerk Uncle Dave. This is why Blooom was created. The robo-advisor-based service helps Americans of all income brackets with managing their investments through their employer-sponsored retirement funds, including 401(k), 403(b), 401(a), TSP, and 457 accounts. Blooom aims to make managing a 401(k) simple, easy and accessible — no matter how much money is in your account. In this Blooom review, we’ll cover the ins and outs of the service, along with areas where Blooom stands out and falls short, so you have a better idea of if the service is right for you. Blooom is an automated online tool that manages your workplace retirement plan for a flat fee each month. As a Registered Investment Advisor with the U.S. Securities and Exchange Commission, Blooom is a fiduciary, meaning the company is required by law to act in your best interest and does not invest your funds based on conflicts of interest or additional revenue for the firm. For only $10 per month, Blooom applies its proprietary algorithm to allocate funds for you to help you achieve a greater return by the time you retire. Its direct management approach makes it, unlike other robo-advisors that merely analyze your 401(k) and send advice on how to manage your investments on your own. Once Blooom allocates funds to bonds and stocks on your behalf, your account will be rebalanced every 90 days to ensure appropriate investment. A considerable benefit of the Blooom service is that it works with virtually every retirement savings account that can be accessed online. All you need is to provide some personal information and the login information you use to access your online 401(k) account — and Blooom does the rest. Users can receive a free portfolio overview that shows the strengths and weaknesses of the account before choosing to enroll in Blooom’s services. Founded in 2013, Blooom currently manages more than $2 million in assets, with customers ranging from 18 to 76 years of age. One of the founding principles of the company was to provide day-to-day management of retirement funds to the overlooked Americans who may not qualify for additional investment assistance. Blooom is also currently the only robo-advisor that focuses specifically on 401(k)s.
While this tool is great for individuals who need more assistance managing their 401(k), it may not be the best option for those who have multiple types of investments, such as IRAs. It is also designed to execute more high-risk investments, although this feature can be altered by the user. If you are interested in Blooom but are not quite sure if it is right for you, the rest of this article will provide a deeper dive into how the service works, including its strengths and weaknesses. Users start with Blooom by creating an online account and providing basic personal information like age and projected retirement, along with login information for an online 401(k) account. Blooom is directly compatible with almost every online 401(k) account provider and does not require you to move your 401(k) or open a new one. While you maintain control of all these accounts, Blooom simply manages and allocates your funds for you. Once you’ve created an account, Blooom will provide you with a free review of your current 401(k). 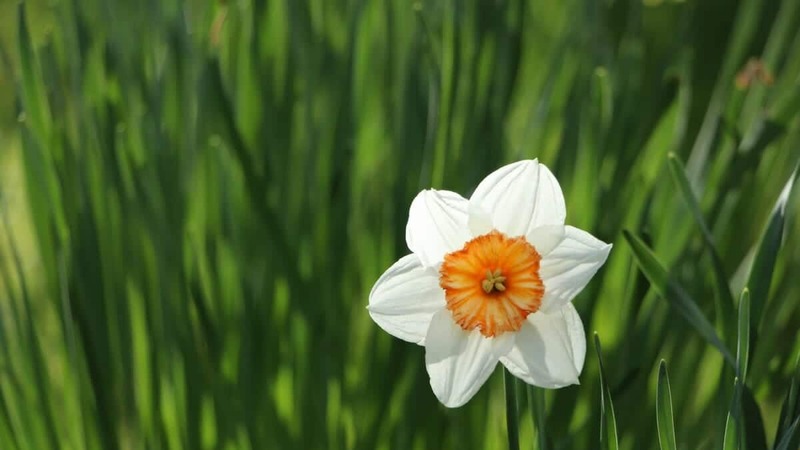 This review displays the health of your portfolio using an image of a flower and includes information about hidden fees, asset allocation, and diversification. Then, based on your age and target retirement age, Blooom provides a recommendation to better diversify your portfolio, allocate more funds to stocks or bonds and lower investment costs. For younger users, Blooom tends to lean more heavily toward investment in stocks and will shift allocation more toward bonds as you get older. Once you’ve reviewed the free assessment, you can choose to enroll in Blooom’s 401(k) management service for a flat fee of $10 a month. If you decide to enroll, Blooom will adjust your portfolio within 10 to 30 days, using its algorithm to identify the most appropriate fund allocation for your retirement goals. Its robo-advisor does much of the work here, but your portfolio will be checked by a licensed advisor before implementation to make sure everything is in order. This isn’t where Blooom’s service stops, however. Over time, Blooom will continue to monitor and adjust your investment portfolio. In fact, your account will be automatically rebalanced every 90 days until you cancel the service. Additionally, you’ll receive an email every time an adjustment is made to your investments. 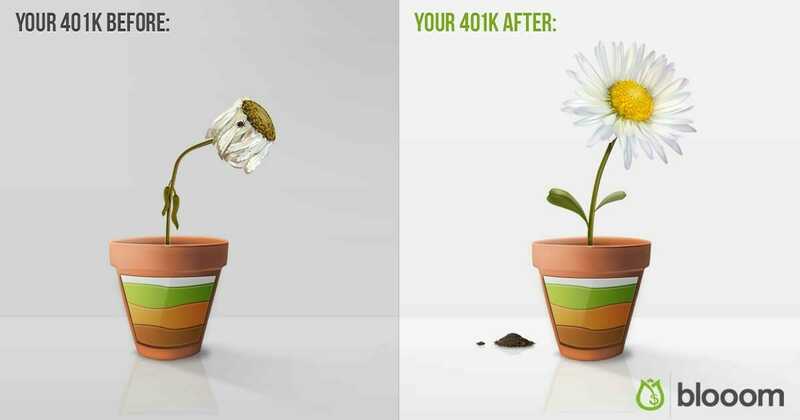 To allocate your retirement funds, Blooom uses the investment options available through your employer’s 401(k) plan. Blooom classifies each available investment into one of 14 different asset classes, rules out any that are not appropriate for your portfolio, and then chooses the best option in each asset class with the lowest internal expense ratio. Blooom tends to lean toward index funds but will occasionally select actively managed funds (if necessary) based on expenses, past performance, and management experience. 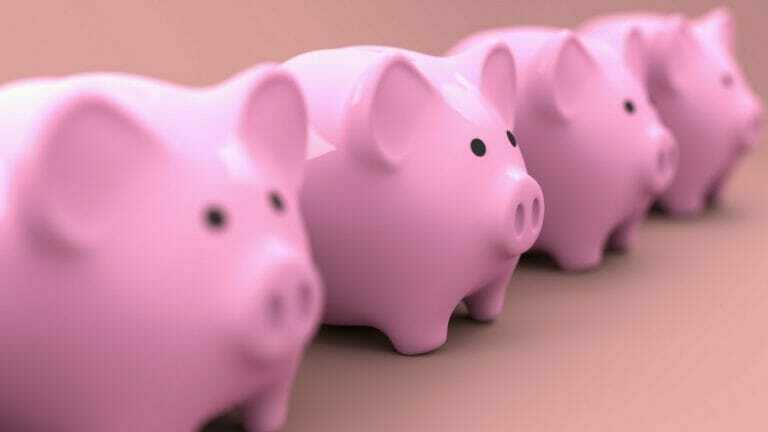 This strategy is designed to diversify your funds and lower hidden fees. Because this is your account, Blooom also gives you a choice: you can adjust the allocation ratio of stocks to bonds using a slider. You can also adjust your target retirement date. Both items are changed with simple clicks of a button on your profile and will remain in effect for future rebalancing. You can become your own Wolf of Wall Street! It’s very important to remember that Blooom is merely an advisory service and that you maintain full control of your investments. However, if you want greater control over the specific assets your money goes to (for example, large-cap domestic stock or international stock), this may not be the service for you, as you do not get the option to tinker with the allocation at this level through Blooom. In addition to selecting and managing your 401(k) investment funds, Blooom offers a range of features to users, all of which are covered under the same flat fee of $10 a month. Selecting investments for you: Blooom works with the investment options available in your 401(k) plan to diversify your funds and allocate them appropriately. Younger users will receive recommendations for higher stock investments, while users closer to retirement will have funds allocated to more bonds. The best part about this feature if that it is all automatic — you simply set your allocation preference and let Blooom take care of the management for you. Rebalancing: Please note that 401(k) allocation is not going to be one-size-fits-all, and it certainly shouldn’t stay the same forever. Every 90 days, Blooom will rebalance your retirement funds to keep up with your retirement goals. If any changes need to be made, they will happen automatically, and you will be notified via email. Reducing hidden fees: By combing through your available investment options, Blooom will uncover hidden investment management fees you’re currently paying and switch you to funds with lower costs as often as possible. This includes a shift away from “managed” account services and Target Date Funds and toward more cost-effective options. Blooom saves its users a median amount of $166 in their first year. Suspicious activity alerts: Blooom closely monitors your account and will let you know if there are any withdrawals or other suspicious activity. You can set these alerts to come in via text or email. Financial advisors: Blooom also provides users with the opportunity to speak with one of its certified financial advisors about their 401(k) or other money-related matters, including debt repayment and budgeting. These advisors are available via email and online chat, and can also be contacted by phone during standard business hours. The best part is that this financial advice does not come with additional fees — it’s all wrapped into that $10 monthly fee. Blooom does a lot of things well as the first, and only robo-advisor specialized for 401(k) accounts. For one, very few other robo-advisors deal with workplace-sponsored retirements funds at all. None handle the direct management of these funds. Backed by its founders’ decades of financial experience, Blooom is well-equipped to help the average Americans manage their retirement portfolios. Flat fee - Most users cannot argue that the flat $10-per-month fee is worth the security and hands-off management Blooom provides. Aggressive - With its algorithm set to emphasize stock investments for younger users and more bond investments for users closer to retirement, some individuals may find Blooom aggressive. Stay put - Blooom works with almost all online 401(k) accounts. There’s no need to open a new account or go through the hassle of moving your 401(k) account. No socially responsible investing: At this time, Blooom does not allow for socially responsible investment. Simple and easy to use: Blooom aims to help average people understand their finances. The service uses the depiction of a flower — rather than confusing charts — to display the health of each users’ portfolio, in addition to plain language and additional customer support from financial advisors. Flat fee: Most users cannot argue that the flat $10-per-month fee is worth the security and hands-off management Blooom provides. Even better, users can cancel at any time with no penalties — a rarity in today’s world of subscription hoops. Most human advisors charge approximately 1 percent of your assets under management, and for most users, Blooom’s fee falls far below that percentage. On the other hand, users with lower account balances may be better off using a comparable service offered by their 401(k) provider. Works with almost all online 401(k) accounts: There’s no need to go through the hassle of moving your 401(k) account over to Blooom. They operate with your own 401(k) account information and merely manages the funds on your behalf. Blooom it is compatible with just about every 401(k) account that has online access. No support for other investment accounts: Although Blooom excels in managing employee-sponsored retirement investments, that’s all it does. Blooom is limited to managing 401(k), 403(b), 401(a), TSP and 457 accounts. It does not provide services for other taxable investment accounts or IRAs. This might be an issue for more investment-savvy individuals because the service is unable to consider external investments into an overall portfolio. Aggressive fund allocation: With its algorithm set to emphasize stock investments for younger users and more bond investments for users closer to retirement, some individuals may be wary of Blooom’s somewhat aggressive or high-risk approach. Those concerned about market downturns or heavy stock investment still have the option to move away from this, however, by changing their preferences using the Allocation Preference slider. No socially responsible investing: At this time, Blooom does not allow for socially responsible investment, which may turn off some users. In all, Blooom is a great service to try if you’re an individual who has very little idea of what is happening with your 401(k) or is new to investing. Its low cost, simple interface, direct management allows you to put your money in the hands of certified financial advisors and potentially see a higher return by the time you retire. All for $10 a month! On the other hand, Blooom is probably not the best choice for people with other investment types like IRAs, or who want even greater control over the particular types of asset funds your portfolio includes. Either way, Blooom does offer individuals a free review of their retirement investment portfolio, which may be worth checking out to get you on the right path for better retirement fund management.